If I could send every reader a bag of buckwheat groats, I would. Recently turned on to this little gem, they have become my new favorite treat. 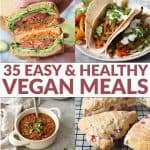 I sprinkle them on smoothies, oatmeal, roasted vegetables, whatever I think needs a little more crunch. 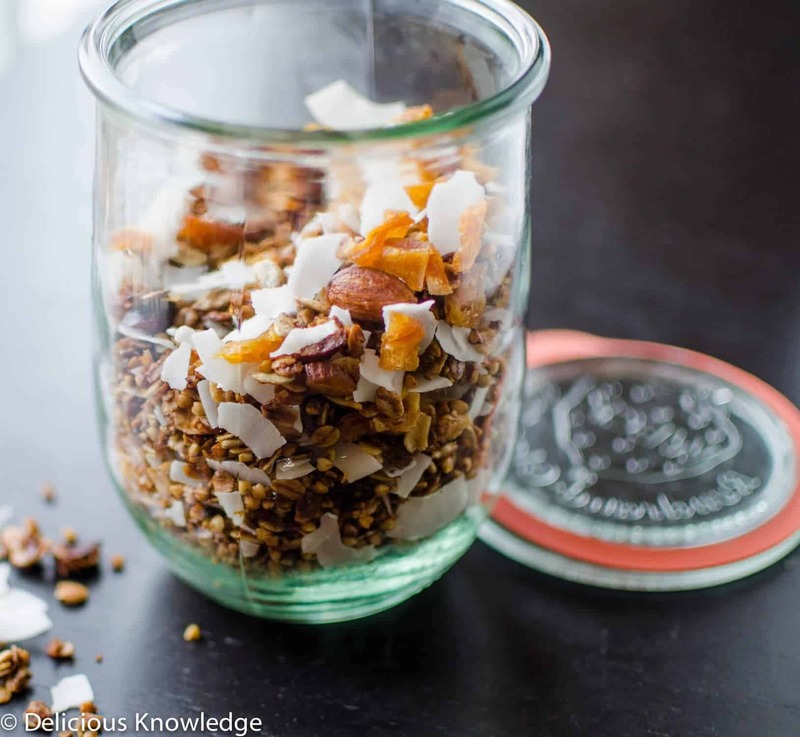 I made this granola a few weeks ago for a thank-you gift and decided to see how adding groats would taste. Seriously, I am never going back. If I wasn’t nervous about eating the whole jar in a few days, I would make this granola weekly. For a real tropical treat, mix with coconut yogurt and fresh, diced pineapple. But, it’s just as good on it’s own. It’s also incredible sprinkled on pineapple-mango smoothies. 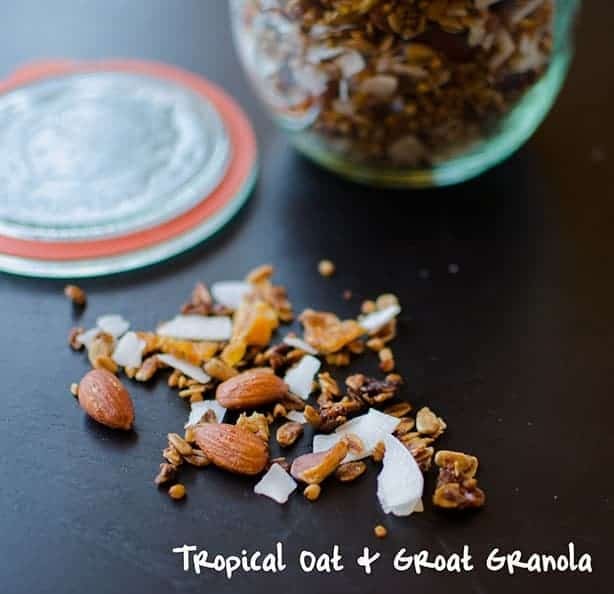 A Tropical Groat Granola made with almonds, buckwheat groats, sunflower seeds, pineapple and coconut. 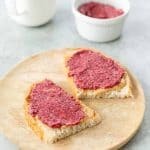 Healthy, gluten-free and perfect on it’s own or with yogurt and fresh fruit. Pour the coconut oil mixture over the oat and groat mixture. Using a wooden spoon or your hands and mix thoroughly. Spread mixture on a 9X9 metal baking pan, bake at 275°F for 45-55 minutes. Stir every 15 minutes to ensure that the edges don’t burn. When it’s slightly golden brown, add the coconut. Cook an additional 5-7 minutes until coconut is lightly toasted. Remove from oven and add pineapple and coconut. 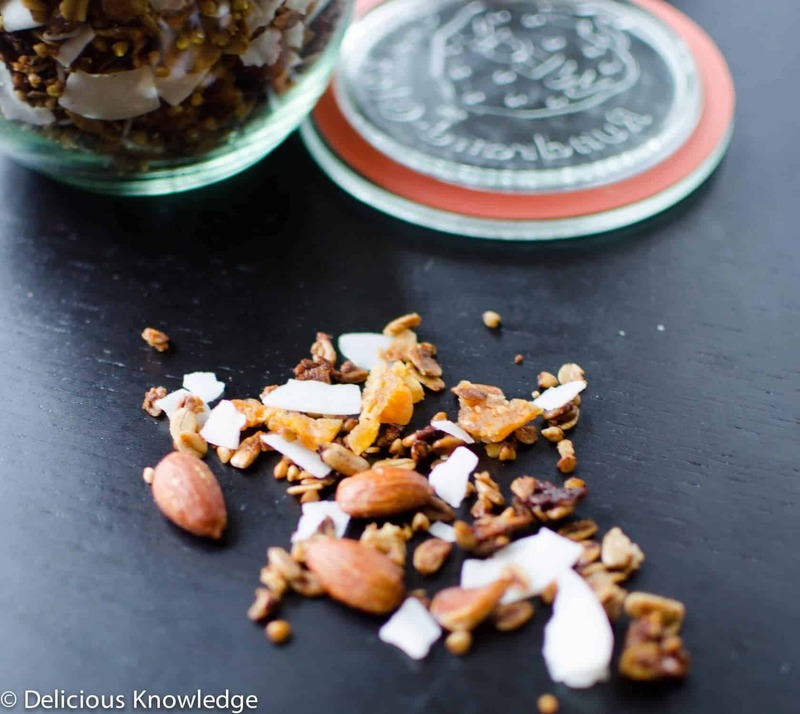 Let sit until cool, granola will clump together more as it comes to room temperature. When completely cool, place in jar. Granola will last about 3 weeks.